Jeans; Buy one pair, get 2nd pair 1/2 price! 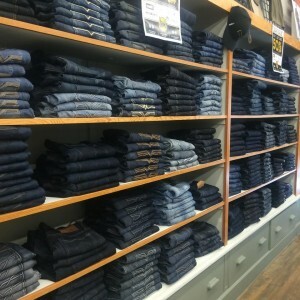 ALL jeans are Buy one pair, get the 2nd 1/2 price for the WHOLE MONTH OF NOVEMBER! One for you, one for a gift? 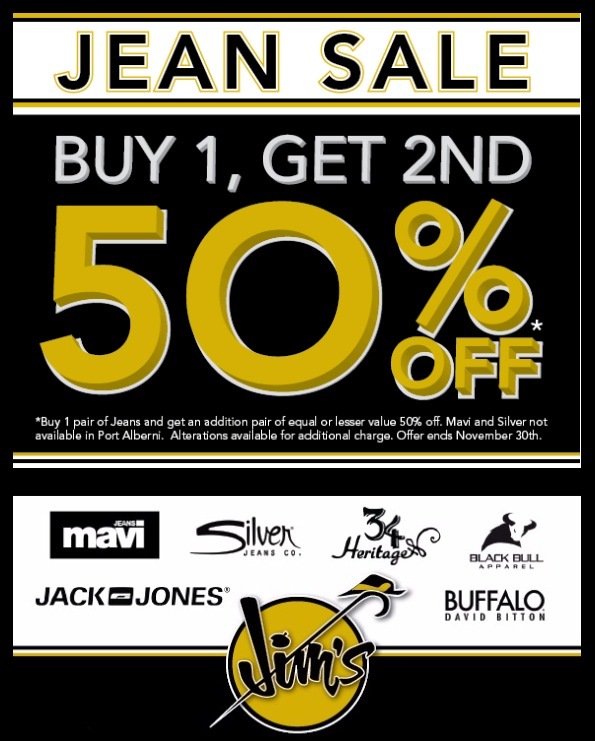 Bring a friend and split the bill (25% OFF each)? Two for you because you deserve it? We have a HUGE selection of different fits and washes to suit you or someone on your shopping list.